Jesse Gallagher has published a new release of Collaboration Today. The biggest change is the addition of the award winning OpenNTF project mypic. 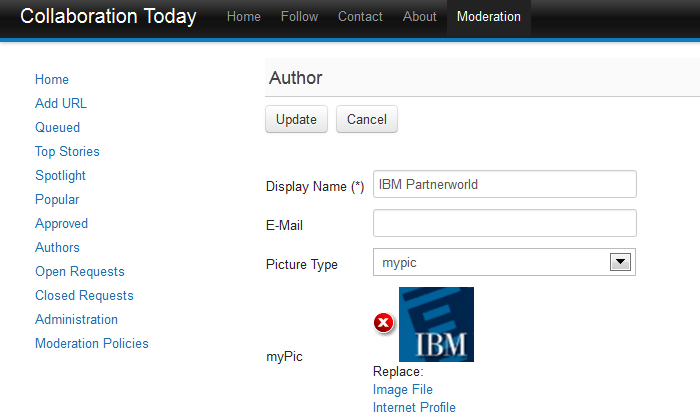 Collaboration Today can now not only refer to author pictures via URLs but also store pictures. This is important if there are no pictures available that can be referenced via URLs and it's also important since the sizes of the pictures can be reduced. 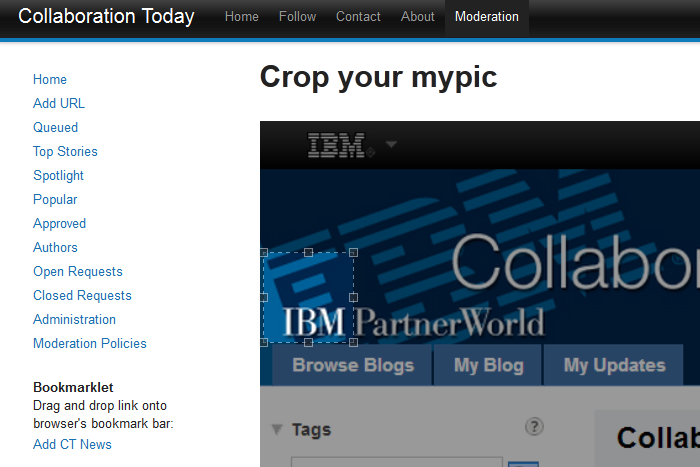 mypic allows cropping pictures and pictures can then be a referenced via URLs.